In 2017, there are some excellent Student Loan Forgiveness Programs available to teachers. You might be surprised to find out just how much money you’ll be able to save via the Federally-funded Teacher loan forgiveness programs, because some of these offers tens of thousands of dollars in savings. The good news is that almost anyone who serves in some capacity as a teacher will be able to qualify for one or more of these programs. Read on to find out which programs are available to you, how much money you’ll be able to save, and how you can apply for each program. One of the best ways to reduce your student loan debt is to make yourself eligible to participate in one of the federal teacher loan forgiveness programs. Each program has different requirements, and most of them are offered only to individuals with specific types of loans, so make sure that you fully understand what’s available before you start counting up the amount of money you’ll be able to save. The Public Service Loan Forgiveness Program (or PSLF) wasn’t created specifically to offer loan forgiveness for teachers, but it certainly can be used to do just that. Eligibility requirements are a bit complicated, but the basic jist of the program is that you have to work in the field of healthcare, education, government service, or for some third party (private or non-profit organization) that supports those fields, and that you’ll need to make 120 qualifying monthly payments on your debt before you’re eligible to have any of the remaining debt cancelled. For the full details, please visit my page about the PSLF Program here. The Teacher Education Assistance for College and Higher Education (TEACH) Grant Program was created by Congress and provides up to $4,000 per year for those teachers with qualifying student loans who intend to teach in public or private elementary and secondary schools that primarily serve students from low-income families. 4 years is a long time to work in a bad area, but for $4,000 a year during both undergraduate and graduate studies, the savings can rack up quickly, so you can see what makes this program so attractive. While teaching underprivileged children in impoverished neighborhoods might not be your dream job, it certainly could help you reduce your student loan debt, and it will absolutely give you the skills you need to succeed in schools found in more affluent areas. For additional details on the Federal TEACH Grants Program, please visit my page about them here. Serve that year at a school that primarily provides education for low-income families, or as a special education teacher, or as a teacher working in an area that’s been deemed to have a shortage of qualified personnel by a state education agency (math, science, foreign languages, etc.). The downside to the Perkins Loan Forgiveness Program is that it’s only available to people with Perkins Loans, which is a small population of people. One big benefit to the Perkins Loan Forgiveness Program is that you are automatically eligible for Federal Student Loan Deferments while you’re teaching in a qualified position. When you get a Deferment, it’s kind of like hitting the pause button your loan, because your monthly payments won’t be due for as long as the deferment period lasts, meaning that you can use that money for other costs like rent, food, bills or whatever else you want to spend it on. This benefit is extremely useful, especially as most graduates come out of college with very little cash on hand. Being able to start savings and emergency money accounts before you need to start paying back that Perkins Loan could seriously help you find financial success. 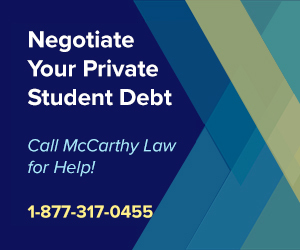 To coordinate loan deferments, you’ll have to make arrangements with the school that issued your Perkins loan (ask them about setting up loan deferments when you request an application for the program!). For details on Perkins Loan Forgiveness, please visit my page about Teacher Loan Cancellation here. The Stafford Loan Forgiveness Program offers up to $17,500 of loan forgiveness to teachers with qualifying Stafford Loans. $17,500 is a lot of money, which makes this program quite popular, but the kicker here is that it’s not a very easy program to qualify for. But on the bright side, the Stafford Loan Forgiveness Program allows you to take advantage of one of the many Federal Student Loan Forbearance Programs during all five of those years you were teaching, which could significantly improve your short-term financial situation, especially if you’re facing difficulties with making payments. Stafford Loan Forgiveness has one additional benefit over Perkins Loan Cancellations in that you can stack these benefits with the Iowa Student Loan Teacher Education Loan Forgiveness Program, so that you’re receiving benefits of both programs at the same time! 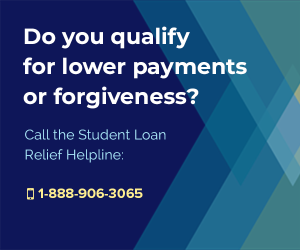 To start receiving benefits under this program, you can download the federal Stafford Loan Forgiveness Application Form here, and get your Stafford Loan Forbearance Form here. 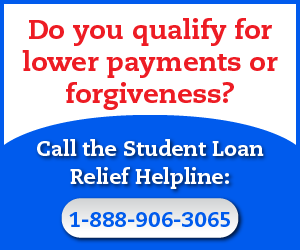 For additional details on how the Stafford Loan Forgiveness Program works, please go here. Some states (notably Iowa) also offer teacher loan forgiveness programs, though it’s obviously harder to qualify for these programs, since they are only offered to residents of the state sponsoring the program. 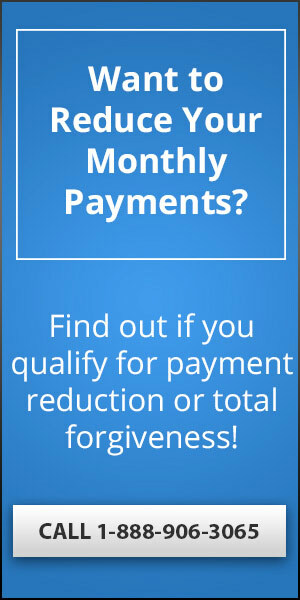 These can be just as useful as the federal loan forgiveness programs, however, and can allow you to save significantly more money if you’re able to ‘double dip’, taking loan forgiveness program benefits from both a Federal and state-sponsored program at the same time. The Iowa Teacher loan forgiveness program is only eligible to those of you who are willing to move to Iowa and take up a qualified teaching position in the state, but since the benefits are pretty substantial, and easy to qualify for, it may be worth your consideration. You don’t apply to this program until after you’ve graduate from school, and you must be a fully licensed teacher to be eligible for its benefits, along with teaching in a shortage area (as designated not by Federal agencies, but by the Iowa Department of Education). This program offers up to $7,534 of forgiveness for Federal Stafford Loans after you’ve completed just a single year of teaching, unlike the other programs above which all require at least 5 years of teaching before you achieve full eligibility. Since this program only requires a single year of teaching to receive benefits, it’s definitely something you’ll want to think about. If you happen to be in Iowa already, or in a neighboring state, then there’s virtually no reason for you to jump on board, as you should consider these benefits to be virtually identical to receiving a $7,500 raise! Many teachers are struggling with student loan debt, and many of them still aren’t aware of the existence of the excellent forgiveness benefits available to them. Please, help me out by spreading the word that these programs exist. 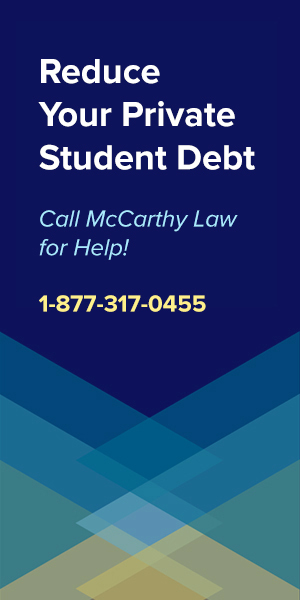 Post a link to this page to your Facebook, Twitter, or Google+ account, and let your colleagues in on the best kept secret in student loans. The more people that find out about these programs, the harder time Congress will have de-funding them when it comes time to cut budgets. Thank you for visiting, and thank you so much for your support. Please come back soon. These repayment programs need to be in place for PRIVATE student loans as well. 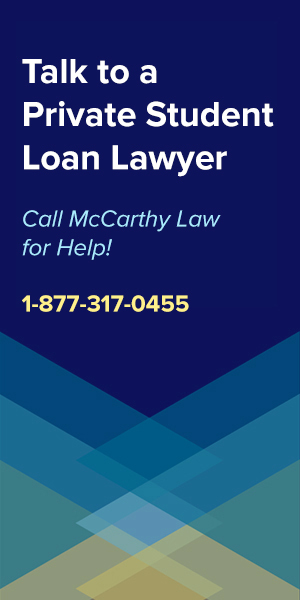 Not everyone qualifies for Federal loans. I have more interest in my loans than the amount I borrowed. I also made interest payments while in school and making min. Wage. I will be in student loan debt until my kids get to college!! There are entirely different rules around Federal vs Private loans because of legal restrictions and guidelines. Basically, Private lenders can do whatever they want, and borrowers have virtually no recourse to dealing with them. 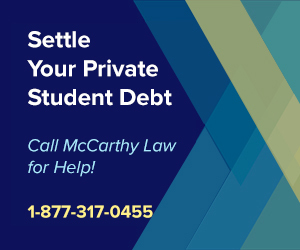 The ONE advantage I can tell you about is that it’s typically easier to get Private Student Loans Discharged by Filing for Bankruptcy. 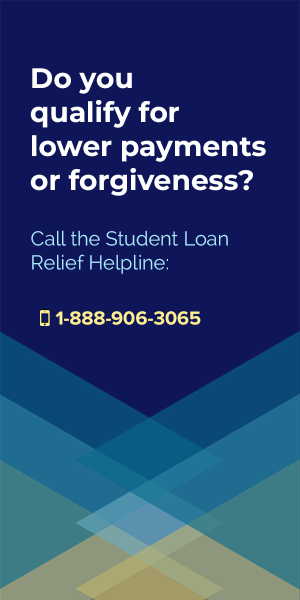 When I called my loan company (the dreaded Navient), I was told I did not qualify for any programs for forgiveness even though I teach high school English and about 1/4 of my take-home pay goes to student loans. I didn’t qualify for income based because my husband made too much money, my community does not serve enough low income families, and even though there is a shortage of English teachers in my state, Navient said they only offer for science, math, technology, and special education teachers. Meanwhile, I have $13 in my account until next week. This sounds about right, and it’s exactly how the programs have been set up. I agree that it’s not necessarily fair, but that’s how the rules work. If you’re married to someone who makes a bunch of money, you’re ineligible. If you don’t work in a shortage area, you’re ineligible. If you don’t teach the right subjects, you’re ineligible. If your debt is huge, I would look into changing roles or finding a new job that WILL make you eligible for the Public Service Loan Forgiveness Program. Can you get a job in some kind of Government role? That’d be a much better way to eliminate your debt, as Teacher Loan Forgiveness isn’t always all that powerful anyway. Thank you for this info here! I am currently trying to decide what forgiveness path to pursue. I am starting my 5th year teaching at a low income school in special education. I am debating whether to apply for the $17,500 at the end of the year, or hold out for another four years for Public Service Loan Forgiveness and get the entire $39,000 of debt forgiven (this is partially undergrad debt from 10 years ago and graduate debt from 5 years ago). It is my understanding that a person cannot “double dip” programs, so I would need to make 120 payments after receiving the $17,500, should I choose to pursue TLF. My concern with holding out for full forgiveness is if the PSLF program will still exist. Do programs typically grandfather borrowers with eligibility or is the program simply eliminated altogether? Can I skip TLF and hold out for PSLF, but change my mind in 2-3 years, and still get TLF (say if PSLF is eliminated or something). I was unsure if I HAVE to apply for TLF in my 5th year, or if I could apply in my 7th or 8th year? YIKES!! Haha. Any thoughts? If I were you, I’d go for PSLF, because even if President Trump and Betsy DeVos do succeed in killing PSLF, I am almost certain that they will have to grandfather anyone already working toward forgiveness into the benefit. I think there’s a 0% chance that you will not be able to get your PSLF Forgiveness, as long as you follow all the rules and satisfy all the requirements, even if the program is destroyed. For details, check out my page on PSLF, as well as my page on Betsy DeVos’s Plan for Student Loan Debt Reforms. Check out my pages on the Borrower’s Defense Against Repayment program and the Navient Student Loan Forgiveness Program. They may help. What if I am currently a teacher but am teaching a shortage area such as TAG or ESL. I need to finish classes to obtain these endorsement which are considered shortage areas. Do I qualify for this to get reimbursed? Do I have to have a loan taken to get reimbursed for these additional certifications on my license? These are all good questions, and I’m not sure how to answer them because you’re talking about some pretty technical stuff. I would contact your school’s HR department and ask them to look into this for you. 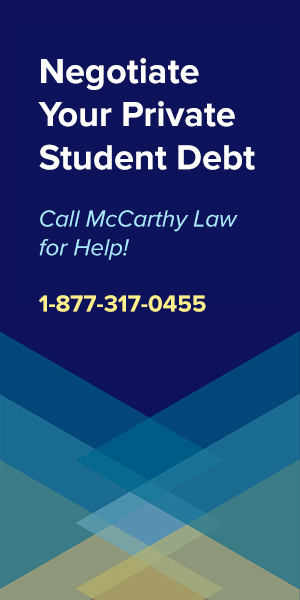 Alternatively, you could try contacting the Student Loan Ombudsman Group, which is a Government-backed, free service that offers advice about legal issues related to student loans. Google their name for their contact info. What about School Counselor’s? Would we qualify under one of these programs? The rules get a little murky when it comes to non-traditional Teaching roles. I’m not sure if a School Counselor would qualify or not, but I think you could find out by asking your HR person and having them investigate this for you. 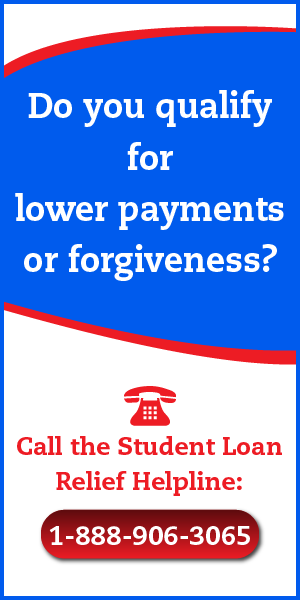 Alternatively, consider calling the Student Loan Relief Helpline to ask them whether or not you qualify. 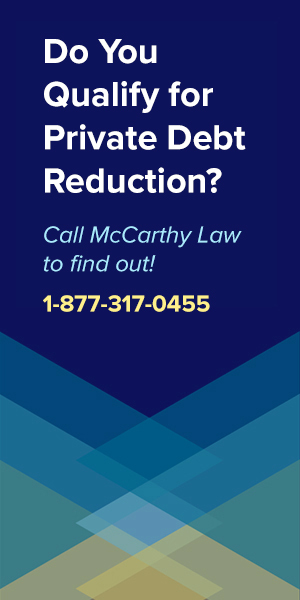 You can reach them at: 1-888-906-3065. Here’s the biggest issue for me. There are all of these programs for elementary and secondary education teachers – BUT NOTHING for COMMUNITY COLLEGES, in spite of the growing emphasis on the university preparatory and job training services we provide. I’ve served for 26 years as a community college teacher in Math in a low income area (New Orleans). Right now there is nothing to give me a break. Thank you for the details here! I’ve been trying to figure out how to use the Loan Cancellation program for my Perkins loan, and now I’m ready to apply. Much appreciated.